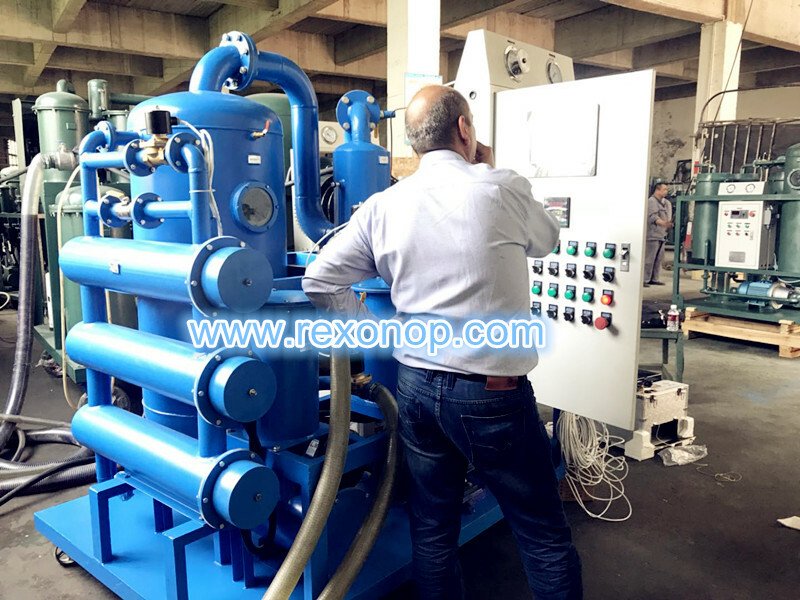 Our old customer Mr.Maher visited our company again last week, and their company ordered the ZYD-150(9000LPH) Transformer Oil Purification Machine 1 month ago, and this time he is coming for machine inspection. This customized ZYD-150(9000LPH) Transformer Oil Purification Machine takes PLC fully automatic electrical control system, which can operate the system automatically. And it takes sufficient PLC controlling parts to operate customer’s oil tanks inlet and outlet also fully automatic mode. After inspection, our customer is very satisfied and happy with our oil filtration equipment, and told us they wants to make long time cooperation relationship with us!